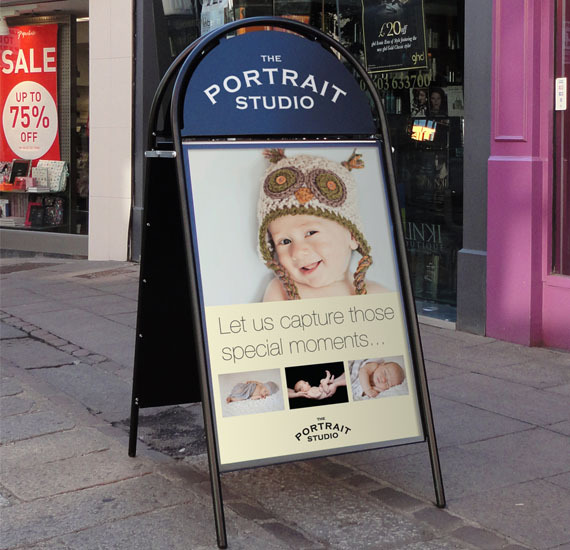 All steel poster A-Board in a range of display sizes - boosted with a semi-circular permanent message header panel. 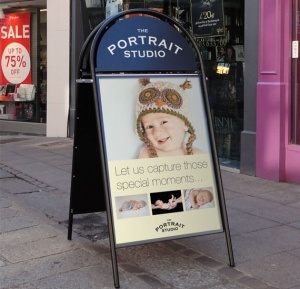 Double sided with additional header area – ideal for vinyl application. Anti-glare PET poster covers with magnetic seals, excellent poster security and weather resistance (includes colour matched printed border). Poster release: simply push poster cover out of frame via hidden release hole in back panel. Steel tube frame (25mm diameter) and steel back panels - available in black or white from stock. Locking side arms and protective feet ensure stability.